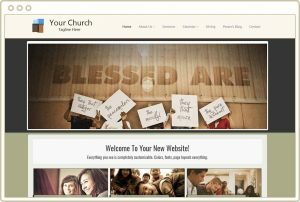 Get a Beautiful Church Website Starting at Only $29/Month! 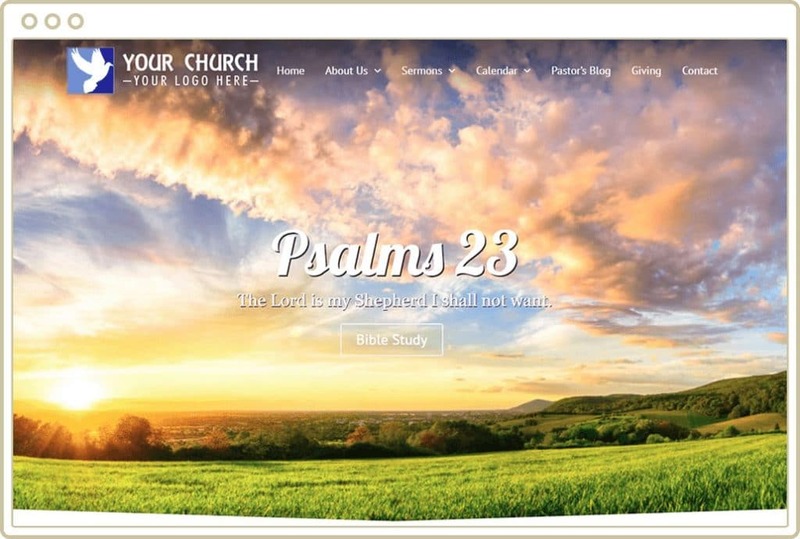 Get Your Church a Beautiful Website Starting at Only $29/Month! We'll set up your church website with your chosen design. 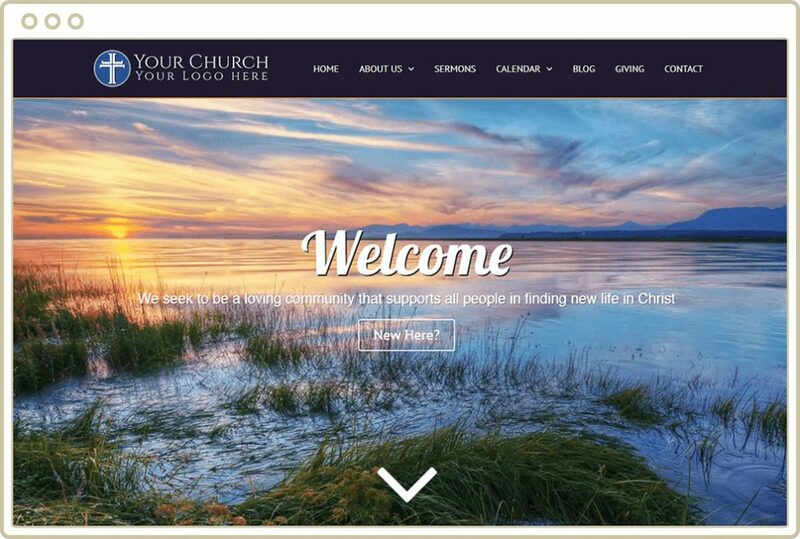 Just log in and complete the website yourself. 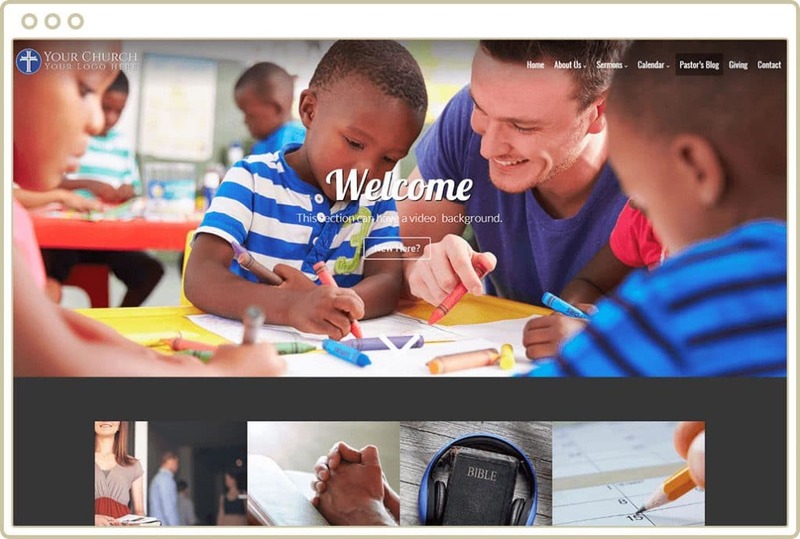 Don’t worry, it’s a user-friendly, drag & drop website builder. No coding needed. 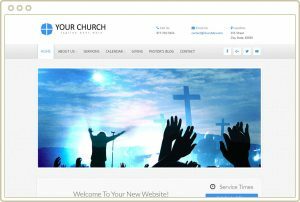 Everything You Need to Get Your Website Up & Running! 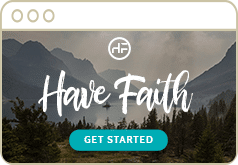 Choose a Plan and Let’s Get Started! 100% risk-free with our 30-day money back guarantee. 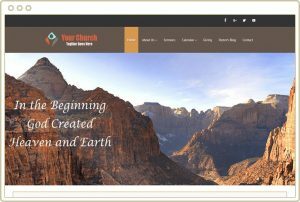 We have over 15 years of experience helping churches get their own beautiful & feature-rich website! First impressions last, right? If you want to get more visits and more members, you need a beautiful website that makes a good impression. 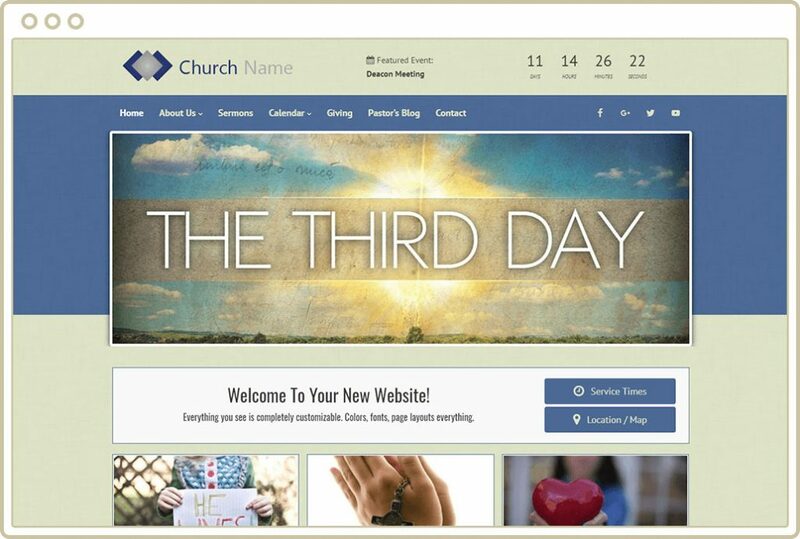 You can either choose a design from our library of website templates or have us customize one for you. 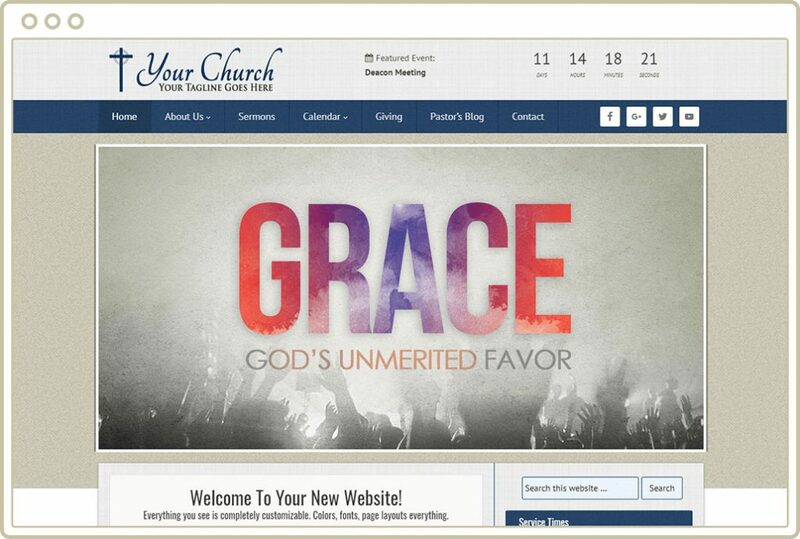 Even church websites are not immune to hackers. When you build your website with us, we’ll do everything in our powers to ensure that your site remains protected from hackers and cyber threats 24/7. We keep all your data and all your church members’ data safe and sound! 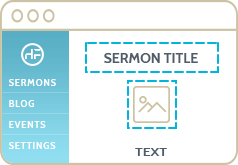 You don’t need any coding skills to use our drag-and-drop Content Management System. 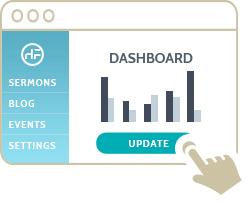 Add sermons, events, and blog posts into your site with ease. 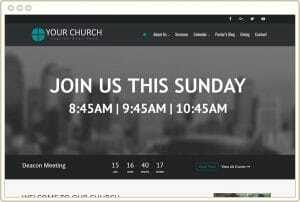 Or you leave the task to any member of your church so you can focus on more important church tasks! 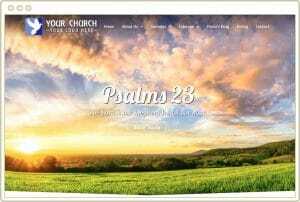 Nowadays, you need a website that looks great on desktop and mobile. Otherwise, you’ll be losing up to 60% of your audience because most people are on mobile. All our designs are mobile-responsive, so your members can view your website in any computer, tablet, or phone. 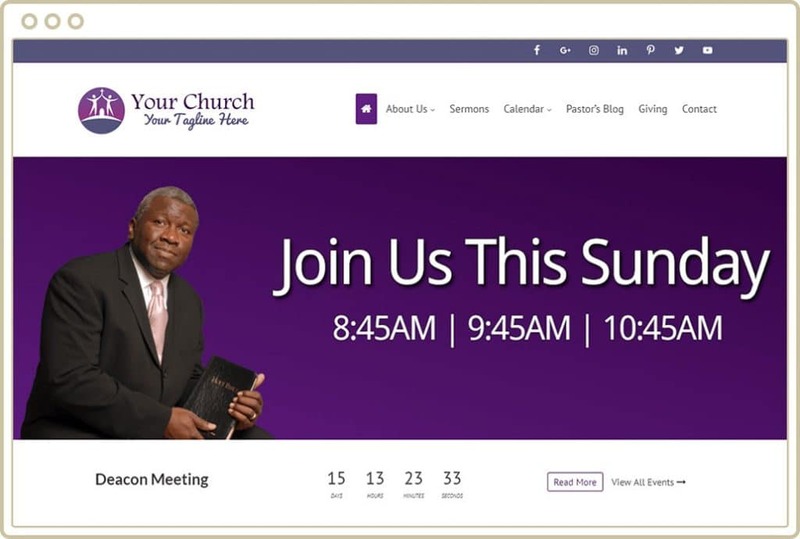 Members can watch sermons and view events wile on the go. 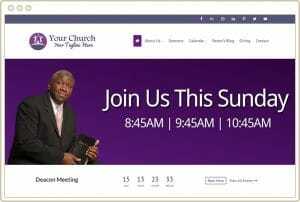 You can also send messages directly to their phone for important announcements. 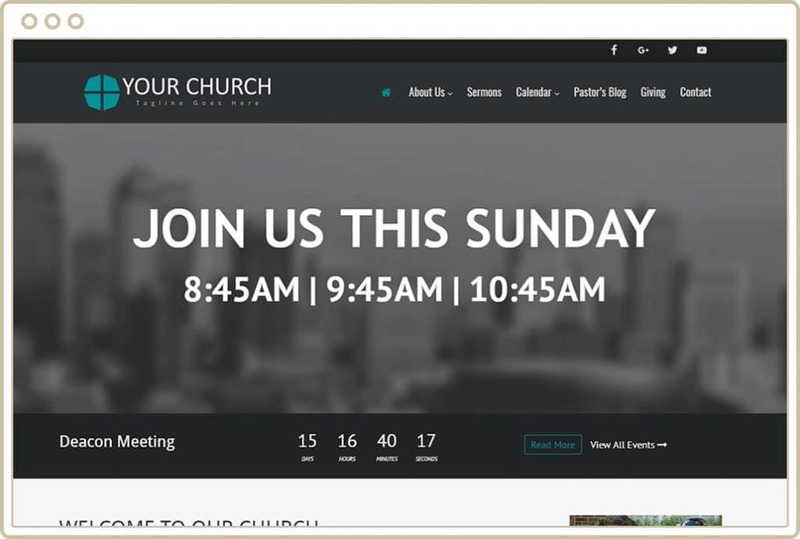 You can tailor the app to your needs by creating app pages and menu links. It doesn’t matter which pricing plan you choose— we’re here to hold your hand every step of the way. 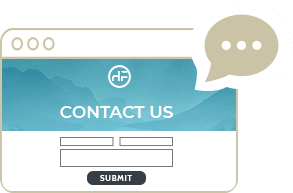 Just send us a message when you encounter any roadblocks, and we’ll quickly respond and help you fix whatever website-related problem you’re facing. Our CMS is not the same as last year or the year before that. We constantly roll out software and security updates to make the system better and better. 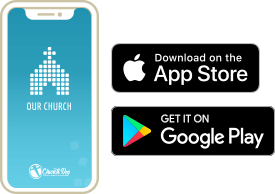 And with a monthly subscription, your church benefits from each and every update—from prayer requests to online giving! 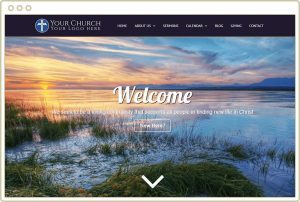 Can’t find a design that fits your church? No problem! 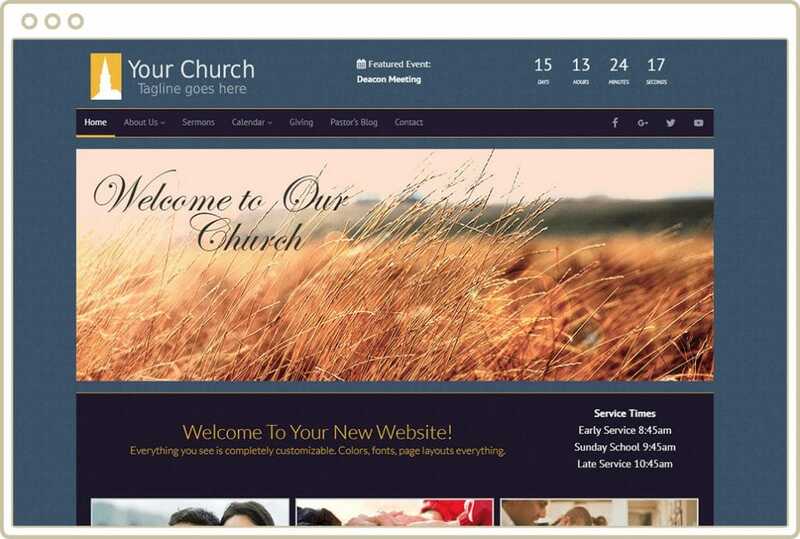 Choose our “Done Exclusively for You” plan and we’ll create a design for your church from scratch based on what you want! 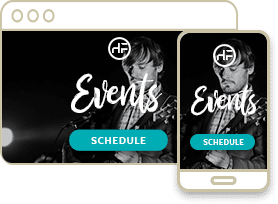 All our plans have a recurring fee of $29/month. No contracts. Cancel anytime. Choose one of our church website designs, and we’ll set everything up for you. But we’ll leave the designing, customization, and content migration to you. 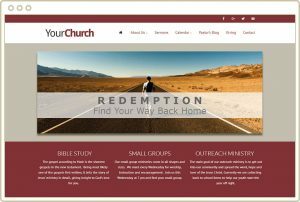 If you or someone from your church can design and customize the church website and migrate your content with minimal support from us. 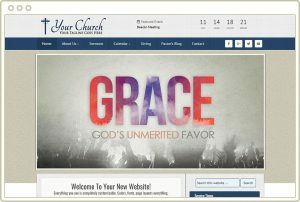 Get a uniquely-crafted website for your church with a custom design that we create just for you. 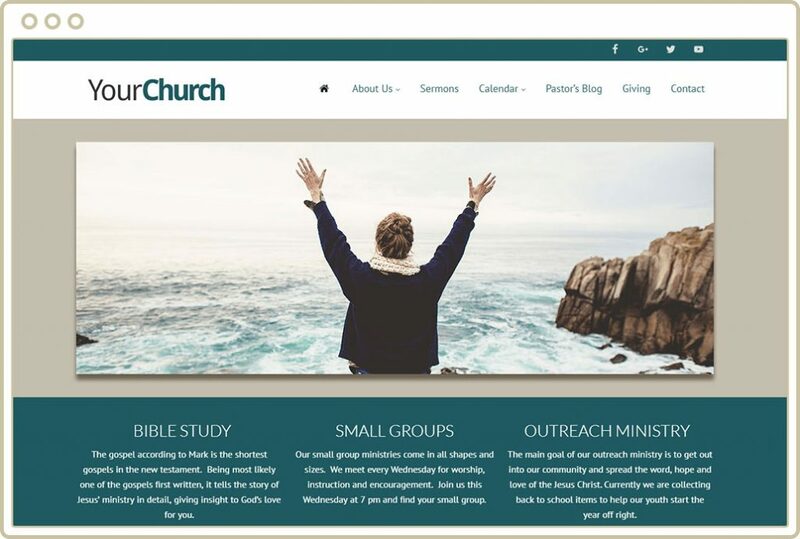 If you imagine something entirely different for your church’s website and you can’t find the perfect design from our current designs. 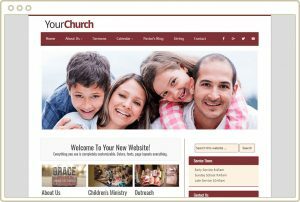 Choose one of our church website designs, and we’ll work together with you to complete your website. Heck, we’ll even migrate your content for you for free! 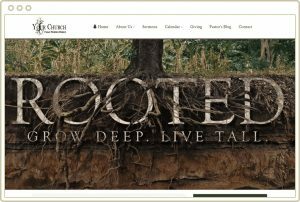 If you want your entire website done for you so you can focus on growing your church. We’ll customize your church’s website the way you want it. Building a brand new website from scratch? We can buy and register your domain for only $16 a year. 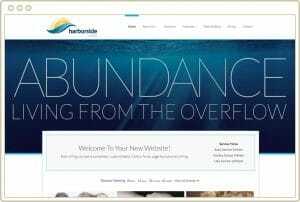 Already have a domain name? 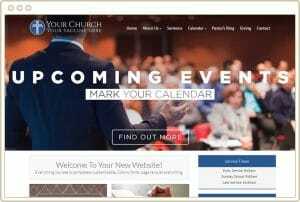 We can point it to our hosting ourselves to save you from all the fuss if you don’t know how. 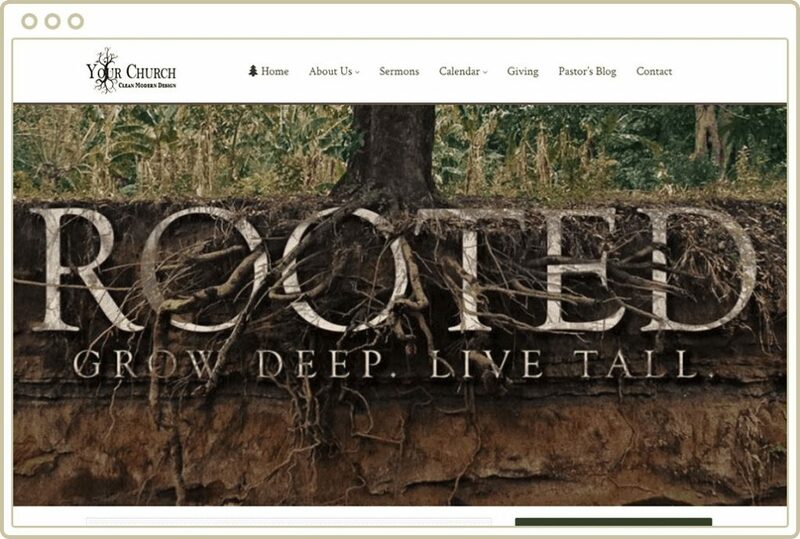 Your logo should represent what your church is all about. Get your logo designed by our talented graphics team. 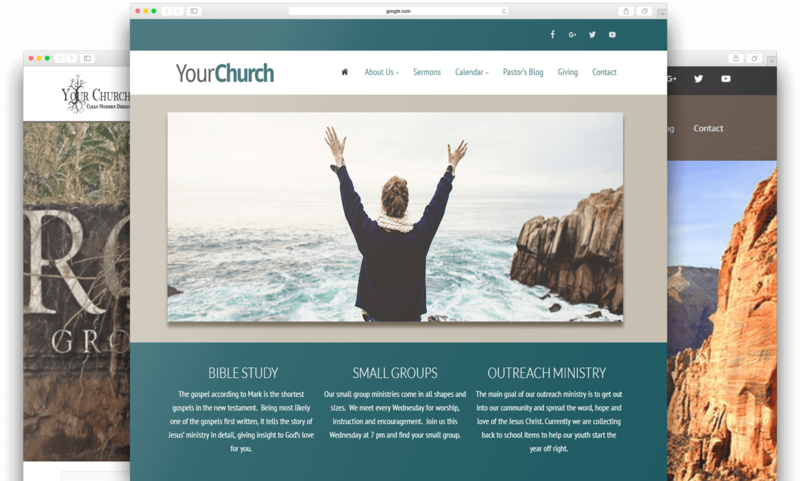 Create a more engaging church community by having a membership directory. 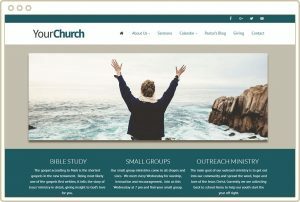 All your members in one place. For 15 years, we built our business with a foundation of complete honesty and transparency to our customers. 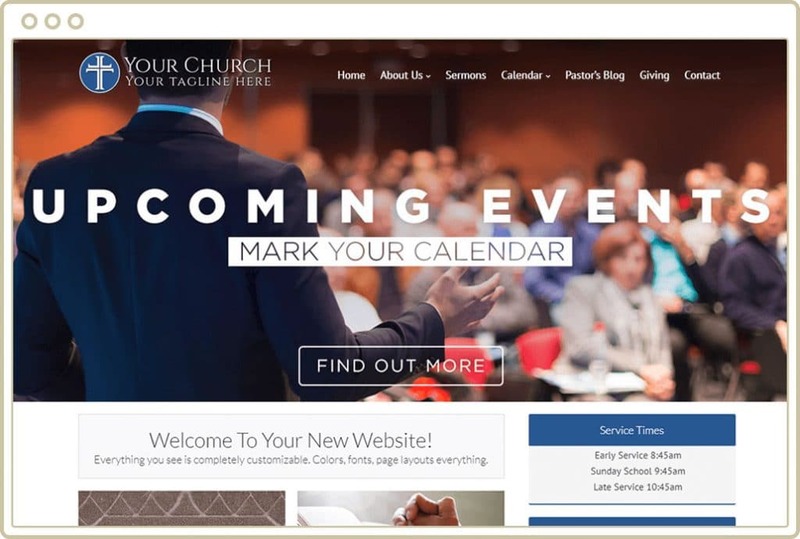 During the design process, we give you a link that will allow you to view how your church website is being created so as not to keep you in the dark. 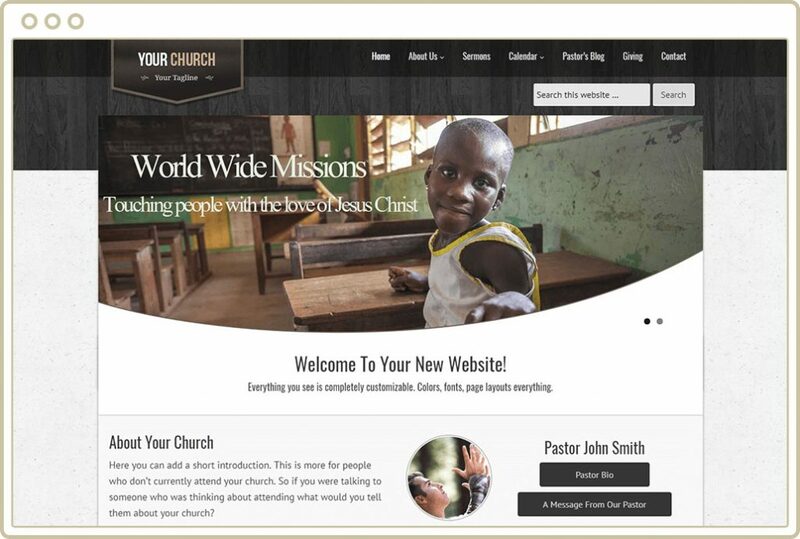 You can give your feedback anytime so that we can design your website based on your specifications. If you’re not satisfied with our service during the first 30 days of working with us, you can get our 30-day money-back guarantee—no questions asked. That’s how much we value our clients and how much we believe in our services! Choose a Plan to Get Started! Undecided? Schedule a Free Consultation With an Expert Today! 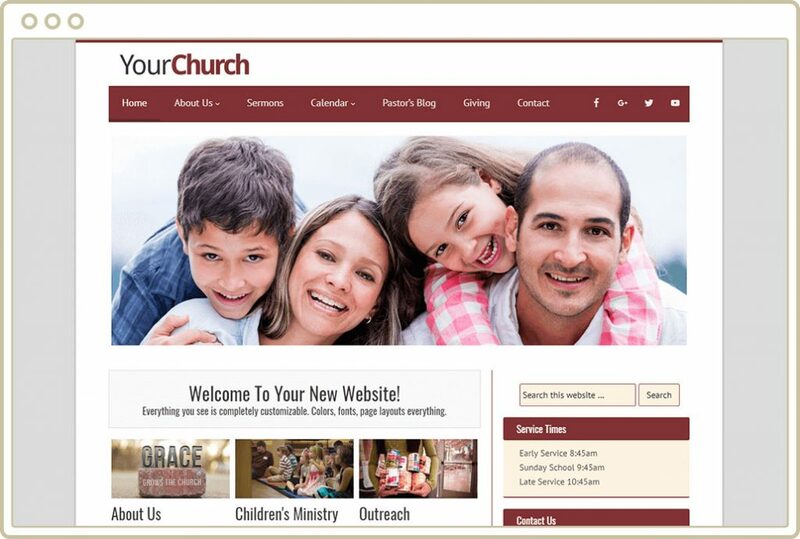 We’ll talk about your website, the design you picked, and how we can help your church grow!